When you think vocal groups, you think vocal harmony perfection and no vocal group have have those harmonies on point more than The Wandering Hearts. Having just released their debut album Wild Silence yesterday (Friday 9th February) UK Country folk group made up by AJ, Tim, Chess and Tara have a hell of a year ahead of them. 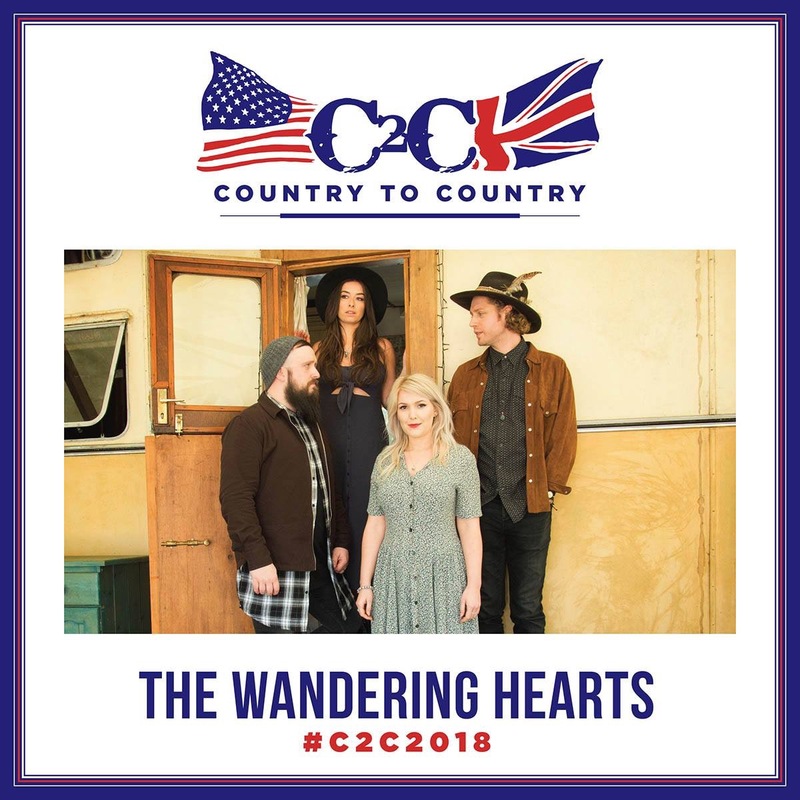 The Wandering Hearts made their C2C debut as a last minute addition to the line up in 2017. Impressing whoever saw them, The Wandering Hearts have gone on to support Marty Stuart, played sold out shows at St Pancras Old Church and the Borderline and a very close to sell out tour this month. The group return to C2C this year and this time are sure to draw in a much bigger crowd now that they have built a strong fan base. If you have heard their album Wild Silence then you know you’re in for a treat but if you haven’t yet seen them live then be assured that as great as the album is, it doesn’t do them enough justice. Songs such as Biting Through The Wires can only be truly appreciated in the harmonies sense during a live setting. TWH have released successful singles prior to their album such as Wish I Could which was the song that instantly grabbed me when I first heard it, creating quite an addiction to their music – thank god their album delivers else I would be rather disappointed in them. Devil, another single is a song that could reach commercial success and is another song that live, reaches a whole new level. Winning the Bob Harris Emerging Artist Award at the UK Americana Awards this month, the support for this group is ever growing.